Moroccan Soup Bar | rubybeanx. On a cold Melbourne winter, there’s nothing better than a hearty bowl of soup. Leading up to our dinner, I was pretty freakin excited about a place that just sold soup. Soup is the bomb. There are no menus so I could not see that there was actually no soup. 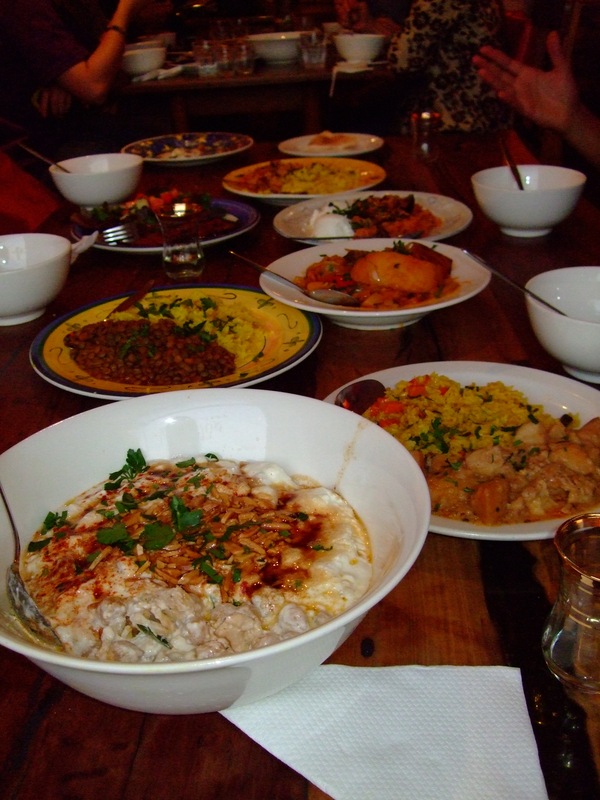 Instead, the little restaurant serves up an ever changing spoken menu of North African influenced dishes. Priding themselves in using the freshest and where possible organic ingredients, think yoghurt and red spices mixed in a luscious balance of lentils, cous cous, beans, potato and whatever else is in season. It’s all vegetarian, but all filling enough to keep the carnivores happy. What else is also impressive is the succinct variety that Chef Hana Asafiri manages to create in the short spoken menu. The food is best shared amongst friends and a table is best booked in advance on busy nights. If you want takeaway, be sure to BYO tupperware! So, despite the absence of soup, Moroccan Soup Bar manages to provide the warmth and comfort of hearty cuisine that we Melbournians seek in this damn cold weather. Tags: Budget Eats, Fitzroy, Food, Melbourne, Moroccan, Restaurants, Vegetarian. Bookmark the permalink.